September is all about learning with our Parragon Book Buddies package! With back to school, it's great to have fun learning activities at home to promote good habits, and kids always enjoy fun activities to help them learn more about their favorite topics. This month, Parragon sent us a great sample of their learning books to check out. They'd be great fun for road trips or after school activities. This was Ben's favorite of the books we've gotten. 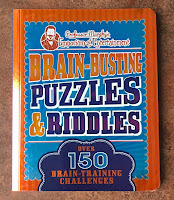 He loves puzzles and riddles to begin with and a book with over 150 of them is just the thing for him. He's spent the better part of the month reading us different riddles and trying to see who can figure them out. It's actually kind of fun for all four of us. We had to add the rule of answering in your own head so that everyone has a chance to compare answers after. I'm going to be looking for a second in the series for his Christmas stocking. The Craft Factory Dinosaur Adventure book was another fun pick. 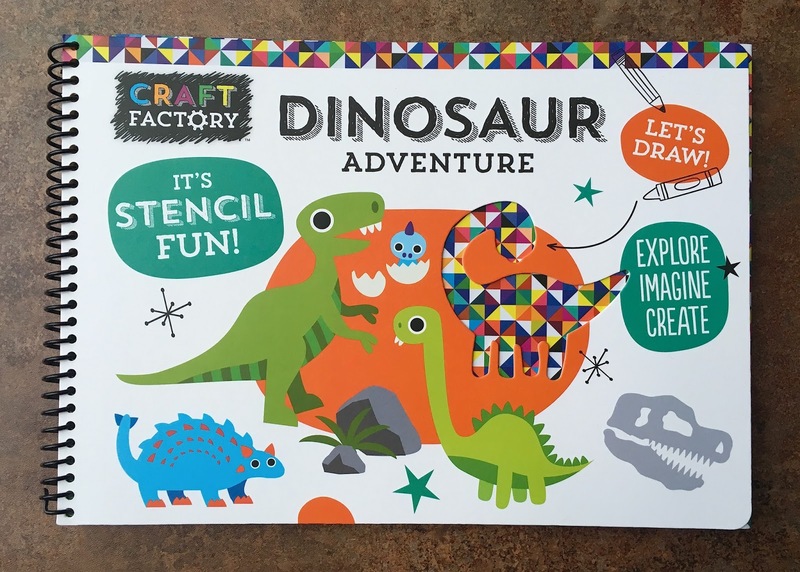 In this book, each page has dinosaur stencils you can use to create your own scenes. We are big fan of adult coloring books right now, so drawing and coloring our own dinosaurs was quite entertaining too. And, since we are all much better at coloring than we are at drawing, stenciling our own dinos was a better plan. It would be great for littler dinosaur fans too, since tracing is so much easier than drawing. We had a similar activity pack last month, in our jungle themed box, and the Factivity Space pack definitely did not disappoint. 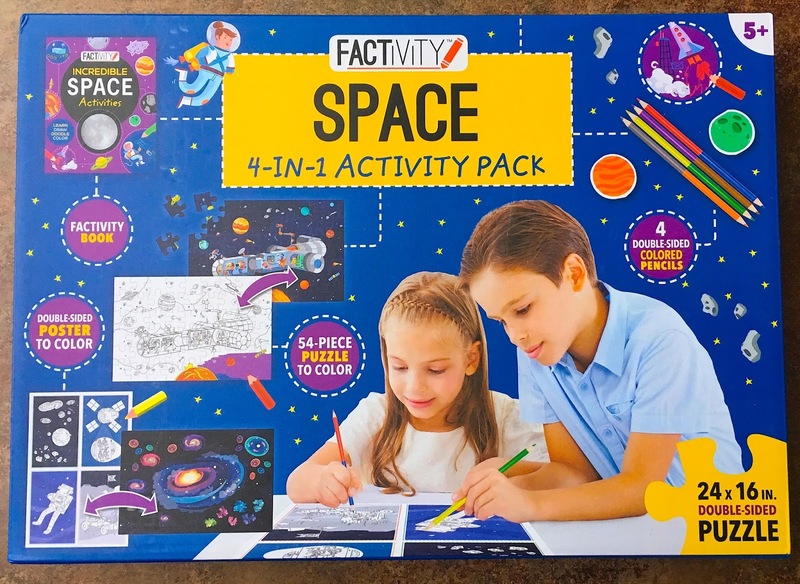 This kit is stored in its own box and has tons of space themed activities. 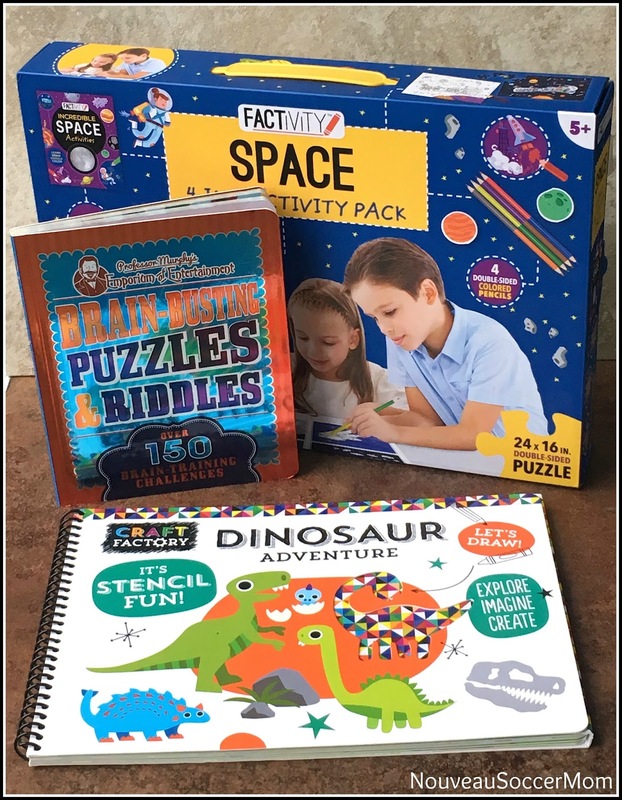 The kit contains a space themed book with facts and things to do, a double-sided poster kids can color, a 54-piece double sided jigsaw puzzle that kids can color, and 4 double color pencils to use on the puzzle and posters. Plenty of hours of fun for your littles! Any of these would make great stocking stuffers if you're starting your Christmas shopping soon. 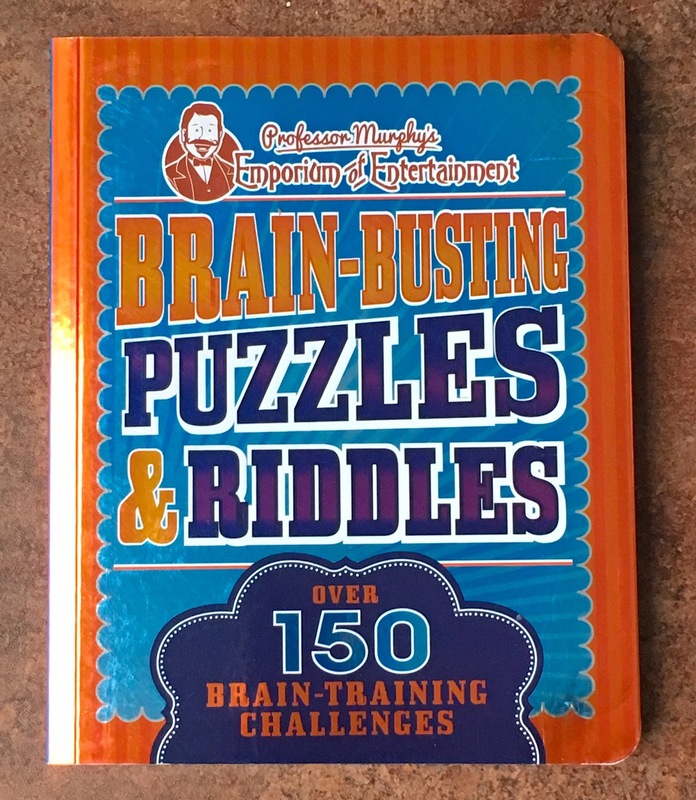 I'm on the hunt for a sequel to the puzzle book for my boy.